Search the Kansas Verification Database! Instant access verification is for organizations or facilities that require a small number of verification searches and are NOT current KANN Check Subscribers. Instant Access is freely available to anyone in the public including nurses who wish to check the status of their own licensure. Verification is obtained INSTANTLY via KSBN’s web-based verification system. 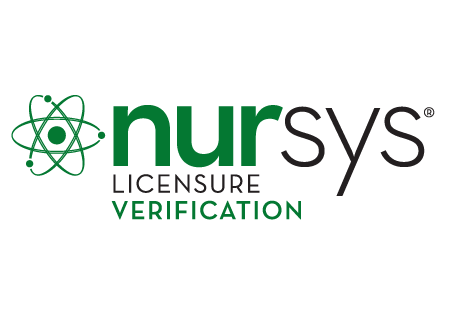 Nursys® is the only national database for licensure verification for registered nurses (RNs), licensed practical/vocational nurses (LPNs) and advanced practice registered nurses (APRNs). Nursys®, a 24/7 nationwide database for verification of nurse licensure and discipline, will make licensure verification immediately available to the board of nursing where an individual is applying for licensure. Written requests cost $30 per verification. Upon receipt of the written request, verification will be completed by the Kansas State Board of Nursing and returned directly to the requestor. For questions regarding License Status Verification contact the Licensing Department of the Board at 785-296-4929. Please allow 7-10 days for processing of written requests.